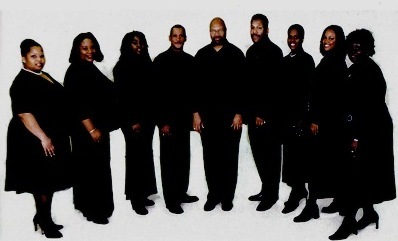 The New England Gospel Ensemble (NEGE), has sung for hundreds of audiences over the years. Gospel music and music of encouragement makes up a significant portion of our repertoire. The messages of all our songs are very positive, uplifting, and challenges audiences to participate 'as the spirit moves'. The New England Gospel Ensemble truely makes a joyful noise and are glad about spreading the good news! The group was formed in 1977 by some students at the New England Conservatory of Music who were looking for a way to merge their musical talents with their own gospel roots, and spread this joyful sound with their community. The result was the New England Conservatory Gospel Ensemble. After graduation from the Conservatory, the group revised its name (dropping the “Conservatory”) and has continued to spread their gospel message through song for thirty years. New England Gospel Ensemble continues on today, singing as they go, and still bringing joy to many. The ensemble is a volunteer group comprised of singers from several local Boston choirs including, The Boston Community Choir, The Millennium Choir, Sharing A New Song, and The Joyful Voices of Inspiration. Director/pianist James Early, the only remaining original member of the group. and the other ensemble members, sopranos - Tamika Paschall, Karen Colbert, and Heather Williams; altos - Bithiah Carter, Valence Harris-Alleyne, and Karen Tobin-Guild; tenors - Edward Mallory, and Norris Welch, have worked extremely hard to perfect a blend that is hard to match.